Popularity along with an overwhelming response from marketing decision makers and agency executives have prompted 42 new Brand Pages. ATLANTA, GA, September 27, 2017	(Newswire.com) - ​​​​​Brand Pages were first released at the end of July and have become extremely popular among marketing decision makers and agency executives. 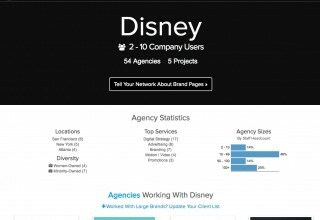 Both companies and agencies have found the Brand Pages to be a vital tool in managing client-agency relationships and fostering future creative partnerships. In Agency Spotter's continued effort to bring more transparency to the marketing and advertising industry, Brand Pages provide a clearer picture into client-agency relationships, brand specific creative work, and stats on agencies who work with each company. 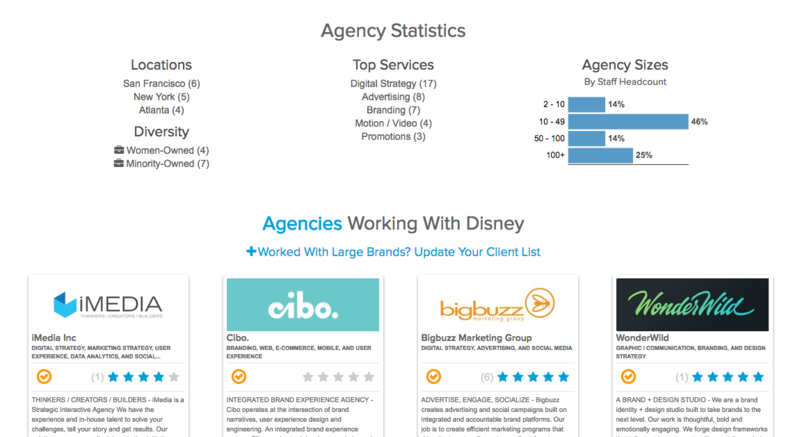 With more Brand Pages comes more agency data bringing visibility to which agencies are working with each company, the services the companies are delegating, the diversity of their agency partners, and the average size of those agencies. While Brand Pages were first thought of as a product for brand marketer and executives, agencies are leveraging the Brand Pages to feature their relationships with clients to both better engage new relationships at those companies and to foster new business outside of their current client base. Drew Papadeas, the VP of Sales & Marketing at New York digital agency Dom & Tom, explained, "As an agency who works with really great Fortune 500 companies, the Brand Pages are an excellent way to showcase Dom & Tom's relationship with clients and connect with potential new customers." The number of Brand Pages has more than double from 37 of the world’s top companies to 79. 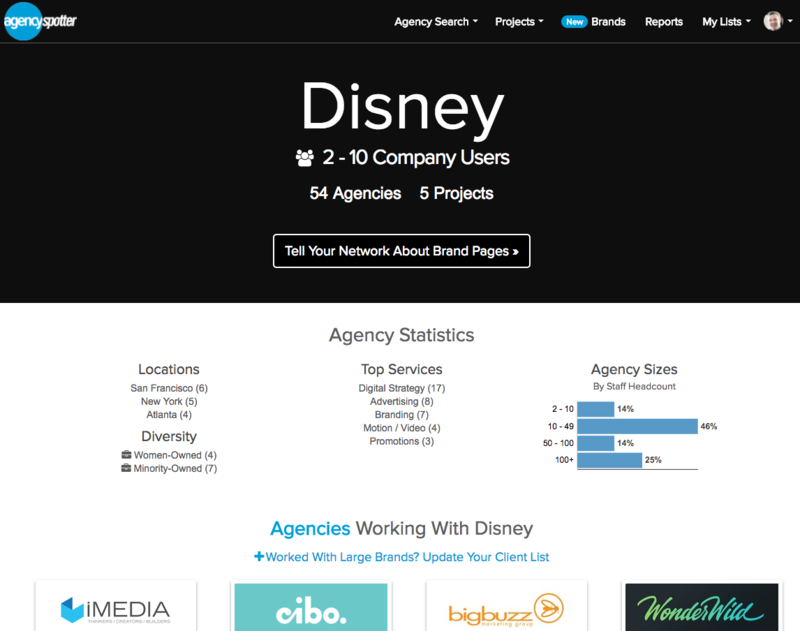 Explore the data, agencies, and creative work by visiting all the Brand Pages. "The Marketing and Advertising Industry along with CMOs seem to be ready for more transparency and see how it can save time, money, and produce better work. We could not be happier about the positive feedback and engagement we have had with Brand Pages," said Brian Regienczuk, CEO of Agency Spotter. New Brand Pages include: Abbott, ABC, AB InBev, Accenture, Ameriprise Financial, Atlanta Hawks, Bose, Cancer Treatment Centers of America, Capital One, Carlsberg, CBS, Charter Communications, Citi, Citrix, Comcast, Disney, Elizabeth Arden, General Electric, Honeywell, HP, Hulu, IHG, Intel, KPMG, L'Oréal, Manhattan Associates, Merck, Mondelēz International, NBCUniversal, Nestlé, New York University, Pandora, PTC, PwC, Sage, Siemens, Sony, Sony Pictures, The Economist, Viacom, Victoria's Secret, and YP (as in Yellow Pages). 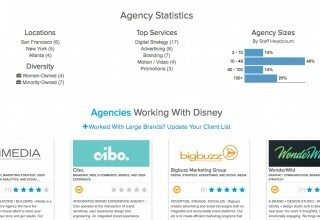 A B2B marketplace and SaaS provider, Agency Spotter connects marketing decision makers with top marketing agencies across advertising, design, digital, and 38 marketing services. 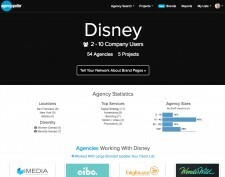 Attracting small, medium, and global enterprises, Agency Spotter is the world's top independent choice for agency search, selection, and agency management.